Twitter Inc has bought social data provider Gnip for an undisclosed amount, indicating that the company would take on a new role of packaging and selling data, which is a service in demand by business and government. The social media company said separately that it hired a Google executive to lead its consumer product development, filling a position that had been vacant since January. Investors took the news positively and sent Twitter shares up more than 11%, which is the biggest gain since the day it went public in November. 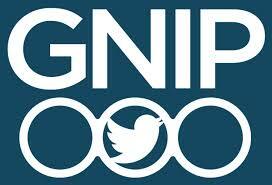 Twitter said in a blog post that the Gnip deal allowed it to burrow more deeply into the 500 million tweets sent daily on its network. The company previously allowed third-party firms such as Gnip, Datasift and Dataminr to buy access to the tweets and then re-sell that data to corporate clients. “Public tweets can reveal a wide variety of insights – so much so that academic institutions, journalists, marketers, brands, politicians and developers regularly use aggregated Twitter data to spot trends, analyze sentiment, find breaking news, connect with customers and much more,” Twitter Vice President Jana Messerschmidt said. Gnip, Founded in 2008, has a four-year-old partnership with Twitter but also provides data for social media content on Tumblr, WordPress, Reddit, Instagram, and Foursquare.